Create a lasting impression on people around you by wearing this kurta presented to you by the famous clothing brand, Varanga. 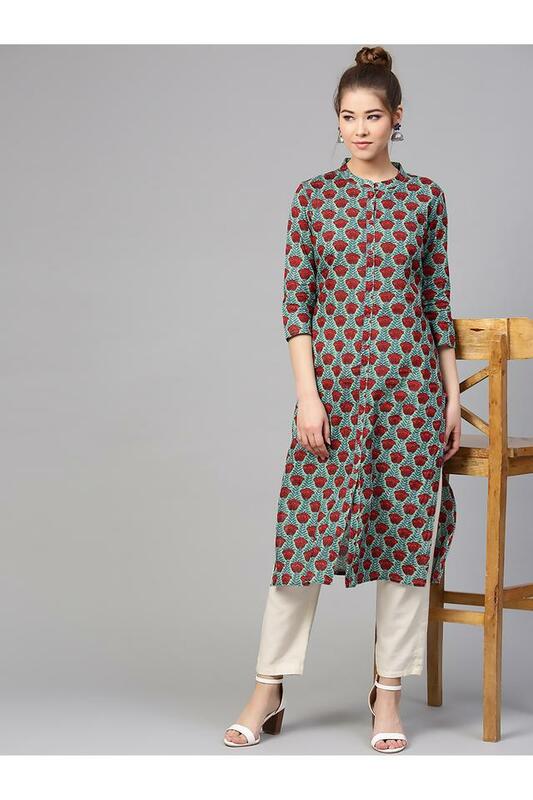 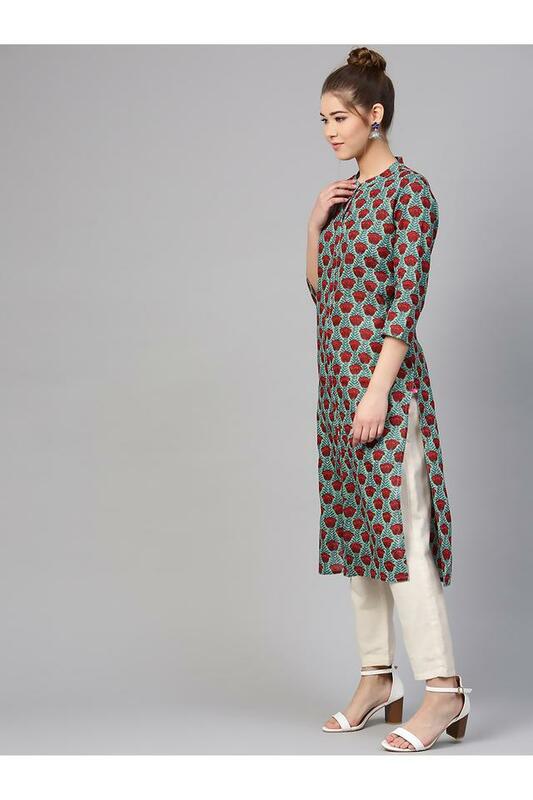 Featuring a printed pattern, it comes with three quarter sleeves that lend its design a distinct and stylish look. Furthermore, made of fine quality cotton fabric it will ensure a day long comfort. 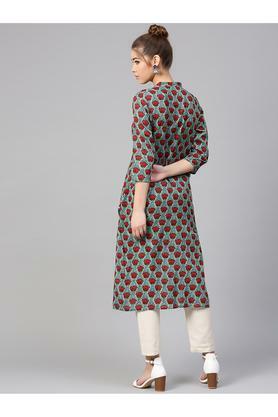 Let your friends praise you for your exceptional taste in fashion as you wear this kurta. 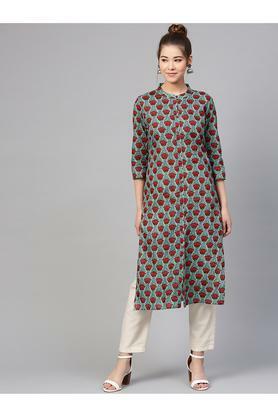 You can club it with a pair of legging and wedges to complete your favourite look for any casual occasion.